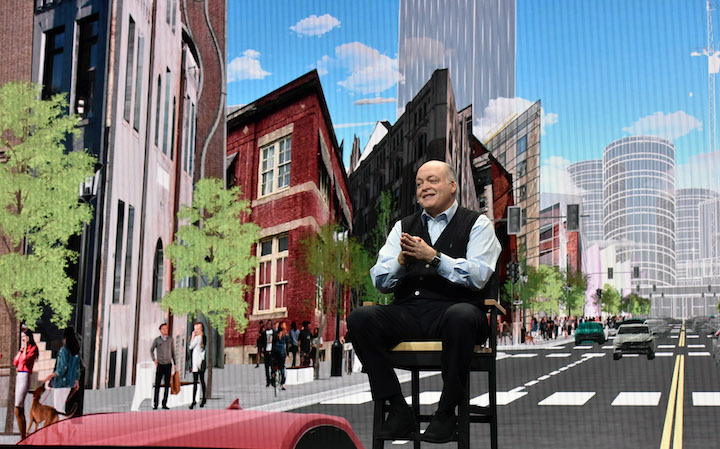 Ford CEO Jim Hackett has encouraged Wall Street to believe in the automaker’s restructuring and potential performance for 2019 after posting less than stellar results for 2018. Ford posted preliminary financial results of $1.30 earnings per share for 2018, which was below analyst predictions of $1.32, Bloomberg reports. “We are moving right now — we have clear, direction, focus, a sense of urgency,” Hackett petitioned at the recent Deutsche Bank automotive conference in Detroit. Investors have criticized Hackett over Ford’s vague product strategy and slow pace with regard to its restructuring. The automaker is hoping to better prepare itself for assumed changes in the automotive industry that will allegedly see both battery electric and autonomous vehicles become widespread. The automaker axed slow-selling models last year, including the Ford Focus and Fusion, in order to direct more resources into electric and autonomous cars. The automaker has also set aside $15 billion for EV and AV development. In the meantime, Ford will rely on its truck and SUV lineup, along with its commercial vehicle lineup, to drive its business. The restructuring has investors doubtful about Ford’s prospects for 2019, but it remains confident. Even after cutting almost every passenger car from its lineup and focusing its efforts elsewhere, the automaker could still post higher earnings per share for 2019, Ford Chief Financial Officer Bob Shanks indicated. The automaker is planning on rolling out the new Ranger and a number of new SUVs this year, which could attract more buyers. Hackett also said investors were being “too casual” about its predictions for Ford, as it has a recently revamped SUV lineup and strong commercial business to carry it to success in 2019. Investors also weren’t happy with Ford’s decision to not provide a stock guidance for 2019. One analyst said Ford “has basically once again said ‘your guess’ to the financial community with respect to specific financial guidance,” for 2019, which will further test their patience. And Ford stock went down 6.2% yesterday. It seems Wall Street was really unimpressed. Ford is the one stock I want in my portfolio as far as auto stocks go due to their product line, VW interactions and dividend; long term investment vice short.